A really cool thing happened at Fenway Park tonight. 51 runners ran a full marathon around the warning track of this storied ballpark. That’s 116 laps around the field. 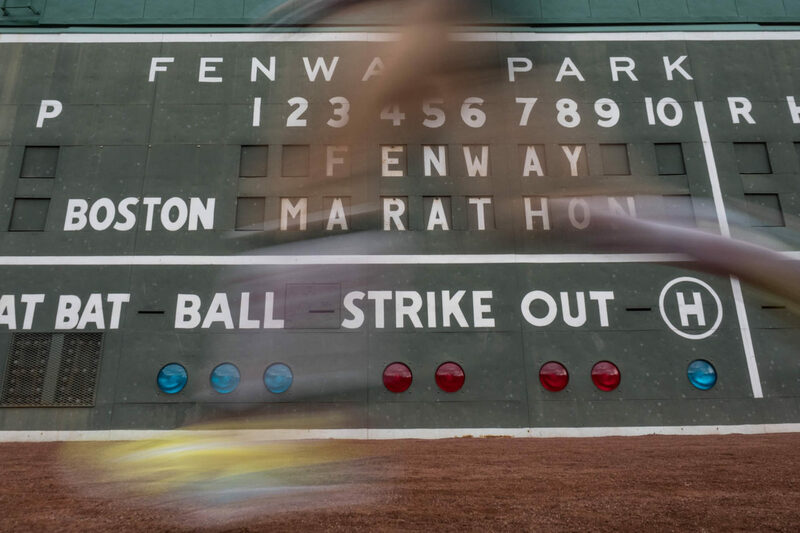 Actually, I think it was more like 116.5, given the positioning of the starting line (in front of the Green Monster) and the finish line (at the home team’s dugout). The race was put on by the Red Sox Foundation, in conjunction with my friend Dave McGillivray’s organization, DMSE Sports. Thanks to Dave, I got access to the field for the start of the race, where I was able to get this image.